Alert suppliers when stocks are low and automates across the different systems resulting in reduced response times and fewer administrative tasks (emails, calls, etc.). 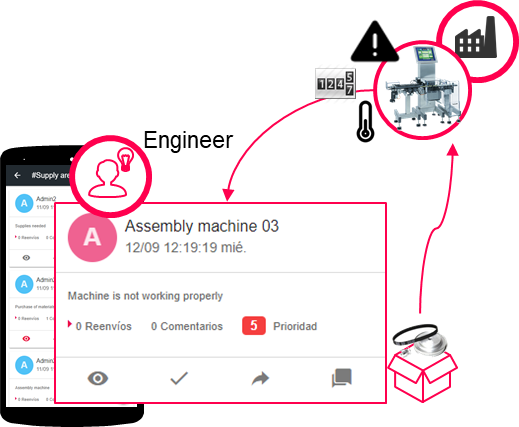 Automation of delivery notes of your suppliers, add additional information to your raw materials (certificates, documents, traceability, etc.). 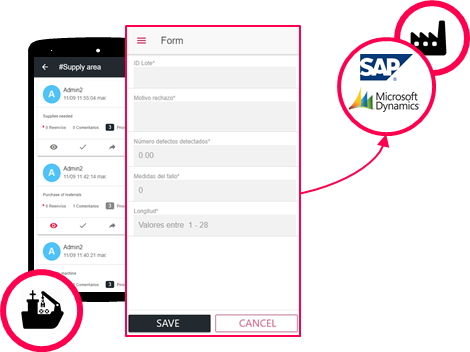 Report non-conformities at the point of delivery. 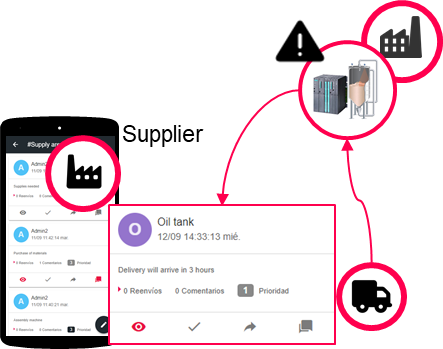 Track the shipment of your products by incorporating controls and checks points from dispatch to delivery. 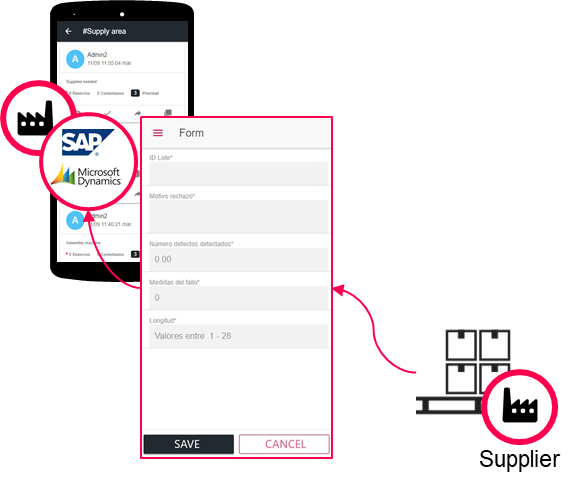 Receive information on your client product in real time (variable deviations, monitoring, operating patterns, etc.) creating new possibilities for improvement and sale of services (predictive maintenance, cross-selling, etc.). 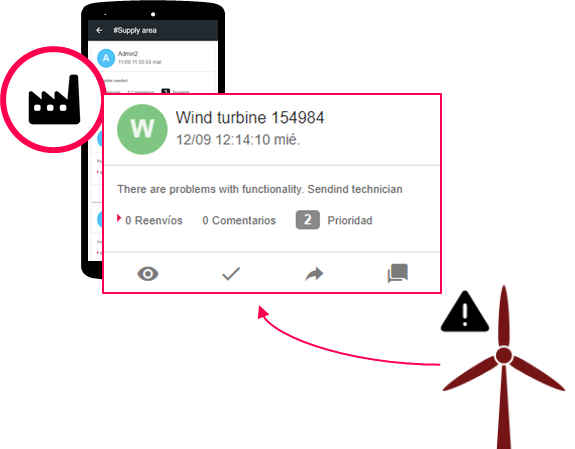 Send real-time notifications to your engineers about deviations in the performance of your systems.